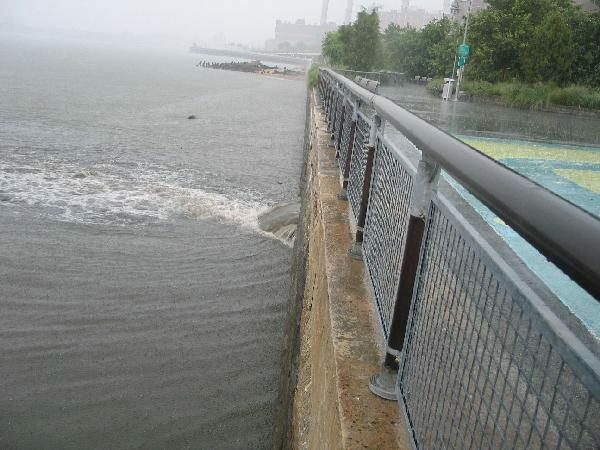 PLaNYC2030: A Great Step Toward a Greener More Sustainable City, but Where’s the SWIMming? Quick. Look out the window. Now. It’s raining, and, guess what? More sewage is being swept into our waterways. Yes, sewage. Again. Just before Earth Day, as you’ll remember, our city was hit with a nasty and very unusual Spring Northeaster, socking us with torrential rain. And we also watched, just days ago, as a whale lost its bearings and swam into the Gowanus Canal in Brooklyn. The Daily News named the whale “Sludgie,” and they did that for a reason. Many of our waterways, although generally improved in the last couple of decades, remain polluted. And one of the biggest sources of that pollution: CSOs (Combined Sewer Overflow). Did you know that less than 1/10 of an inch of hard rain is all it takes for sewage to enter our waterways? So, can you imagine the sheer volume of sewage that is being swept into our waterways? This happens largely because we don’t capture enough of our storm water BEFORE it flows into our waterways through the CSOs. Right on point, just this past Sunday, on Earth Day, Mayor Bloomberg unveiled the city’s long-term plan called PlaNYC 2030. It’s the first time in a long time that any Mayor/NYC government has tried to envision what our city should look like in the coming decades. It’s a terrific plan that really should do a lot to give us a greener, less polluted, more sustainable city. And we’re happy to report that much of the water quality action plan is directly in line with the S.W.I.M. platform, and includes many great measures. However, parts of the plan aren’t quite expansive enough e.g., planting only five storm water capture street trees and studying only those while tens of thousands of others are being planted, potentially missing broad opportunities for storm water capture. While parts of the plan are modest, the plan does contain many S.W.I.M. platform items like creating an interagency task force that will address innovative storm water management techniques and creating a pilot program that includes swales (shallow troughlike depressions that carry water mainly during rainstorms or snow melts) along parkways, improving tree pit design and looking into mollusk habitats to improve water quality. The plan also calls for planting a million more street trees and creating at least 40 more greenstreets every season and designing them to absorb storm water, as well as new zoning regulations requiring storm water capture in parking lots and providing incentives for green roofs. However, despite early mentions by the Mayor’s office that the water recreation goal would include swimming (he said that in an early press release), PlaNYC 2030 doesn’t mention achieving swimmability in any of the city’s waterways. While no one intends to actually swim in the shipping lanes on the East and Hudson Rivers, we firmly believe that 90% of our waterways can be swimmable by 2030. We can do that by making sure that all of the S.W.I.M. platform is adopted. So, a word to Mayor Bloomberg: We want to work with you on water quality and, some day, when our waterways are again swimmable, we’ll all get together for a beach party. You can help us make this photo ancient history. You can help S.W.I.M. Feel free to post this photo and send it around the ‘net. Call, email or write your Councilmember and the Mayor and ask them to support the entire S.W.I.M. platform. We are planning a large outdoor event for late Spring, and other events that may be “virtual” in nature. We hope you’ll join us.